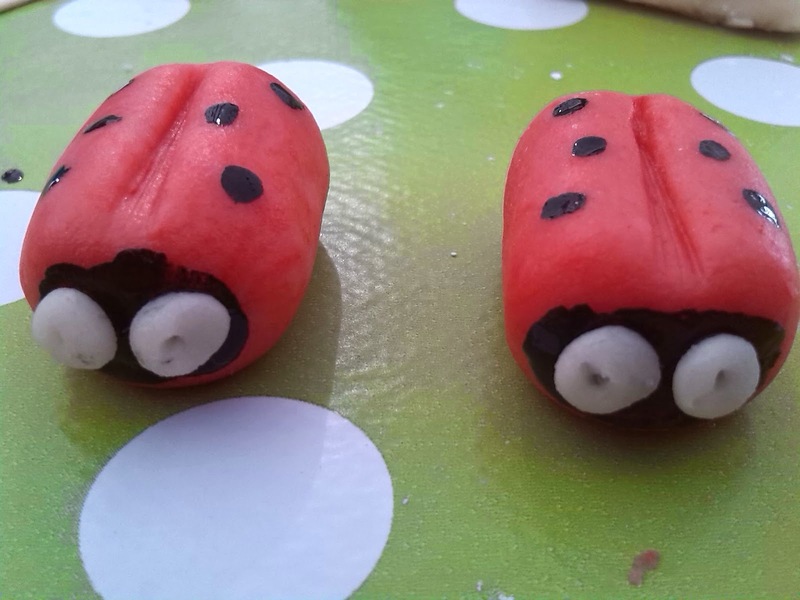 I was always so envious of people that were able to make marzipan things to decorate cakes, i thought it was something I could never do ..... until I was taught in a masterclass at The Handmade Fair. 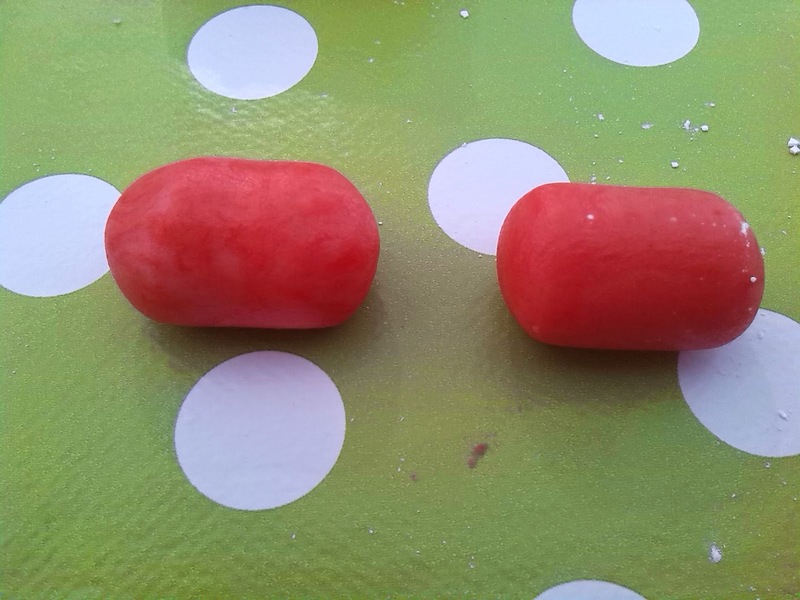 Flatten the sausage a little and then with a cocktail stick, make a line lengthways down the sausage. Use some black food colouring to pop some spots on your lady bug, remember they need to be symmetrical. 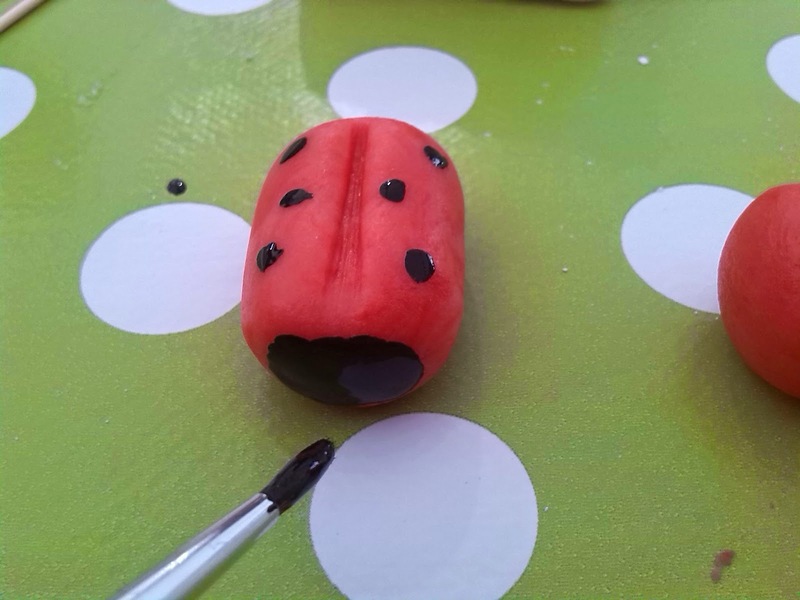 Use the black food colouring to paint the front of your ladybug, this will be its face.